Chambers UK 2010 made 53 recommendations over 10 fields. Solicitors find themselves instructing barristers from this set more and more in public law matters. 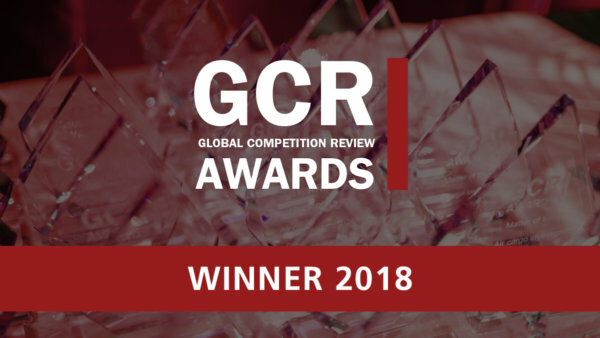 Although the set is perhaps better known for its work in the competition and telecoms areas, the sheer strength of feedback for its public law practice gains it a place in the rankings. Jon Turner QC is widely admired for his direct approach and fantastic regulatory practice, and has recently acted in significant judicial reviews in the environmental sector. Tim Ward has become a first-choice junior for some leading public law solicitors, and he often practises at the intersection of public law, EU law and human rights law. He acted for the Alzheimer’s Society in a challenge relating to the withdrawal of NHS funding. Gerry Facenna is a busy practitioner with a varied practice, including freedom of information cases and public law challenges in the financial, environmental, transport and healthcare sectors. Clients value his practical approach, responsiveness, and attention to detail. Piers Gardner of Monckton Chambers has lengthy, invaluable experience in Strasbourg and displays enormous technical prowess. He is regularly instructed in high-profile and politically sensitive matters. Monckton Chambers remains “an automatic choice for competition work.” It is a set with barristers well versed on both the advisory and advocacy fronts, who “have seen and done it all over a number of years.” As well as having some of the UK’s most respected silks, it has a long list of impressive juniors, many of whom are tipped as future stars. Paul Lasok QC, the head of chambers, is “an oracle of European law.” Supremely comfortable handling a variety of competition and European law matters, he recently acted for the Royal Mail in its challenge to the UK government’s treatment of VAT charges for postal services. Jon Turner QC “is a brilliant lawyer who is immensely hard-working.” As one interviewee said, “I’ve never seen anybody absorb as much detail as him.” He frequently acts for regulators and competition authorities, and also appears for commercial clients. He acted for National Grid in its appeal before the CAT against the fine handed down by Ofgem for abuse of dominance in relation to contracts it had made for rental of its assets. Stablemate John Swift QC is “a totally unpompous lawyer who just gets stuck in.” He focuses on competition law and utilities regulation and has recently represented Ryanair in connection with a number of state aid and competition issues. Daniel Beard “is a superstar worth every penny, who punches well above his weight when facing QCs on the other side.” As standing counsel to the OFT, he picks up some juicy cases against some stiff opponents. Examples include acting for the Competition Commission in proceedings relating to BSkyB’s acquisition of a 17.5% stake in Virgin. Meredith Pickford “is bright and hard-working – a definite star of the future.” He is a former economist and recently acted for T-Mobile in the Court of Appeal in its successful appeal of a decision by the CAT over the scope of licences granted to mobile network operators. Philip Moser’s work, on the other hand, has included acting against the government in Teleos Plc v The Commissioners for Customs & Excise. This “terrifically fast thinker and great problem solver” is always in demand. Paul Harris defended BERR against a challenge from the Merger Action Group over its decision to let the Lloyds TSB/HBOS merger go ahead. According to interviewees, he is “hard, aggressive and enjoyable to work with.” Along with Josh Holmes, he is generating a lot of excitement at the Competition Bar. Holmes’ “extensive knowledge of the law and hands-on, collaborative approach” were to the fore when he acted for Ryanair before the Court of First Instance, overturning the Commission’s decision that Ryanair has received state aid. Similarly lauded, Kassie Smith is “sound, pragmatic and blessed with excellent drafting skills.” She acted for Siemens, the intervener in the CAT in National Grid v Ofgem. Tim Ward, meanwhile, is “user-friendly, bright and knowledgeable.” He has experience of a broad range of competition and EU law and recently acted for Vodafone in its successful challenge to Ofcom’s demand for changes to the means by which a customer can transfer a number from one operator to another. Others at the set to impress include Anneli Howard, who “has a fantastic way about her.” This former solicitor “knows what buttons to press,” having been an associate in EU/competition litigation at Freshfield Bruckhaus Deringer before building a strong competition practice at the Bar. She is seen as crucial to the future of chambers, as are the likes of Ronit Kreisberger. Kreisberger “can take charge when others despair and frequently spots the key point that will win a case.” She was a senior associate in Herbert Smith’s competition group until 2005 and has quickly won a reputation at the Bar. Finally, Ben Rayment “is a considered lawyer who is a pleasure to work with.” He is the former legal secretary to the UK Competition Commission. This “well-run and efficient set of chambers” has small pockets of environmental expertise. Long recognised as an adept commercial litigator, Jon Turner QC is increasingly sought out by public bodies for environment-related work. He recently impressed observers with his representation of the Environment Agency in a major judicial review test case concerning the Agency’s approach to compliance with EU landfill legislation and EU groundwater protection legislation. Kassie Smith has an excellent track record in EU and domestic environmental law, and has been instructed by both the Environment Agency and Greenpeace. She is highly recommended along with up-and-comer Gerry Facenna, who has a flourishing reputation for his work involving EU environmental law. Robert Palmer of Monckton Chambers, meanwhile, offers “a level of legal analysis that is extremely clever and to the point; he sees things very clearly and can easily manage all the various elements of a case.” He recently led an appeal against the refusal of planning permission for a major housing development on a reservoir in Cardiff. 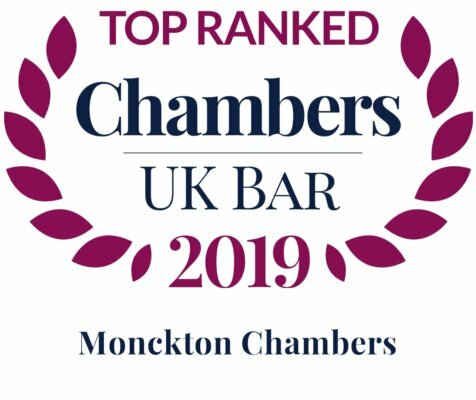 Monckton Chambers is a set that is “extremely strong from top to bottom,” and is populated with “barristers of great technical expertise.” The 21-strong team has great experience of the major cases in the field and is inundated with instructions. In tackling its work, it is magnificently assisted by the fact that it can bring a broader blend of skills to the table than most due to its expertise in EU and competition law, as well as public law generally. Its best performers include Michael Bowsher QC, a true luminary in this field who is admired for his “unparalleled knowledge” of public and utilities procurement law, “terrific client handling and commercial pragmatism.” Solicitors admire his “strategic thinking and willingness to try untested arguments,” whilst clients respect “his ability to translate complex arguments into innovative and clear points.” He played an instrumental role in Lion Apparel v Firebuy, the challenge to the procurement of firefighters’ uniforms throughout the UK. In Henry Brothers v Department for Education in Northern Ireland, he successfully challenged a £500 million government construction programme. Paul Lasok QC is a leader in EU, competition and procurement law who has “one of the best minds at the Bar.” “An immensely gifted individual who is especially good in his written work,” he is much sought after. His clients include the London Organising Committee of the Olympic Games (LOCOG), which he advised on procurement processes for the organisation of the London 2012 Olympics. Another popular junior is Valentina Sloane, who is “very good, especially when on the attack,” clients point out. Also recognised for her exceptional VAT practice, she has been advising Wandsworth Borough Council on the compatibility of a dual tendering procedure with EU procurement law. She also represented the tenderer on the benefits of a challenge to Yorkshire Forward for an alleged breach of EU procurement rules. Whilst she is a popular junior, so too is the “thoroughly reliable, sensible and user-friendly” Rob Williams, whose “encyclopaedic knowledge of the EU rules” fits well with a balanced competition, procurement and regulatory workload. Joining him in the tables is the “enthusiastic and clever” Elisa Holmes, who has impressed in a number of cases recently. She acted with Nicholas Paines QC in Enterprise Liverpool v Liverpool Mutual Homes. Sources recommend Paul Harris as one of the sports sector’s rising stars and praise his “outstanding work and tireless work ethic.” Clients are particularly keen to laud his availability and commercial approach, suggesting that “Paul is one of those rare barristers who you can get hold of even when he’s on the beach digging his sandcastles.” Harris has been involved in a number of the leading sports cases of recent times, including Mutu v Chelsea FC and BAGS v Amalgamated Racing. 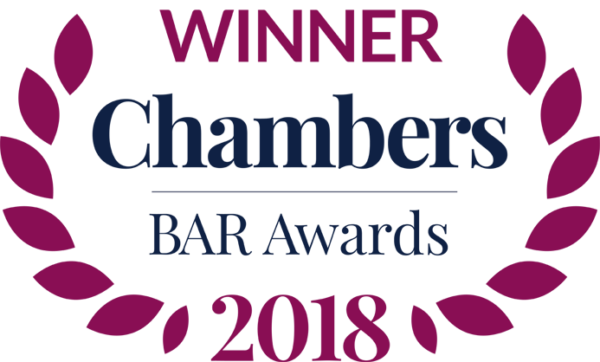 Monckton Chambers, with six silks and 24 juniors representing both taxpayer and tax collector, can lay claim to having one of the largest VAT teams at the Bar. Head of chambers Paul Lasok QC is an expert in European law, focusing mainly on agriculture, competition, public law, telecommunications and trade matters. When it comes to tax matters, he is a respected advocate with “an encyclopaedic knowledge of VAT cases” who acts for both taxpayers and the authorities. Lasok has advised some very well-known names in his time including Deloitte & Touche, KPMG and PwC. In addition, he has advised Customs & Excise and taxpayers on actual and proposed VAT legislation. Peter Mantle has earned a “phenomenal reputation” for his HMRC work. He has appeared in numerous big cases, with peers commenting that he is “in and out of the VAT tribunal all the time.” He has an impressive 40 reported VAT cases. 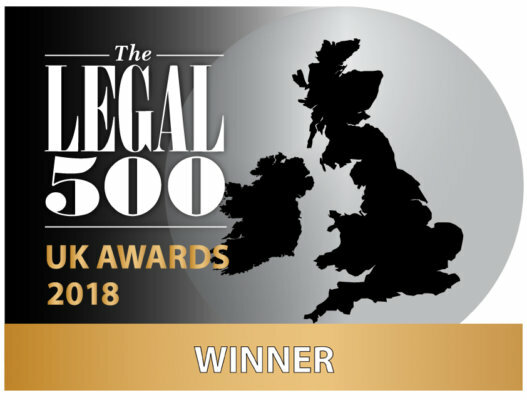 The triumvirate of top sets is in this area is completed by a chambers that boasts a substantial team, massive sector experience and considerable strength in European competition and regulatory law. Its members “have a supreme knowledge of the regulation affecting the industry and show a good mix of commerciality and common sense.” Mobile and fixed operators, content providers and regulatory bodies such as Ofcom all seek out the set for advice. Meredith Pickford has “a huge advantage in understanding the dense arguments of telecoms law due to his background as an economist.” An expert in public law, he knows the regulatory regime inside out and commands a huge following that includes long-standing client T-Mobile. He represented the company in the Court of Appeal in a successful appeal against a decision by the CAT in a case concerning the scope of licences granted to mobile operators. Anneli Howard, “a brilliantly strategic thinker who is incredibly prompt,” wins support for her “hands-on, collaborative approach” and “clear understanding of the pressures faced in-house by operators.” In addition to both Nokia and BT, she also acted for Ofcom before the CAT in a case concerning the legality of telecoms devices called GSM gateways. Impressive junior Josh Holmes continues to develop a name in his own right in the telecoms arena and acted for Ofcom in the recent high-profile litigation on calls to mobile phones.